Through participating in festivals, trainings, and workshops, over 200 nonprofit and community-based organizations from 25 California communities have been part of the growing technology capacity building network in California. During the most recent California Nonprofit Technology Festival in Sacramento, a compelling set of leaders flooded the room with light and knowledge. 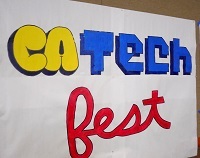 What went down at CA Tech Fest Sacramento? Check out the awesome and emerging statewide partners here. When we talk about going the extra mile, there's a few awesome people who take the time to travel around the state on many nptech capacity building adventures. These three not only make a big difference in our world but also support many nonprofits from across the state! 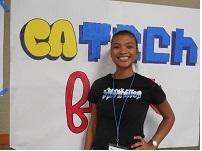 From the Bay, Sacramento, to Fresno, Misha has been sharing her knowledge, traveling the state with us to support other nonprofit staff with technology, and rocking nonprofit online communications at the Black Organizing Project in Oakland! She is a fountain of knowledge for how membership-driven organizations can balance their online technology and organizing goals. Thanks Misha! From Fresno, Coachella, to Sacramento, we love having David Valdez, Director of the East LA Youth Institute, bring his humor and mad video skills. We're ever so grateful for his knowledge sharing and for those he brings along the way, like Manny, Ashley, and Dianna. 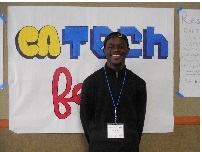 His special focus on supporting young people with technology and media skills makes all the difference. See the WELA videos! From taking pictures and making videos, road tripping across the state with Alberto, and leading sessions on technology for social change, Bobby is a leader in California who inspires us! 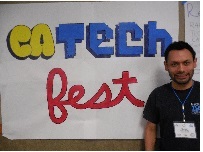 He is an integral part of the California Nonprofit Technology Festival and helped shaped what it is today. We are honored to be collaborating with and learning from many amazing organizations from across the state.